I’m excited to share another YOU ARE HERE travel-photo post with y’all. This one is from Sarah Guillory, whose debut novel Reclaimed is coming out October 15, 2013. “Packed with atmosphere and surprises, Reclaimed is one of those rare books that kept me guessing throughout and inspired an immediate reread.” – Mindi Scott, author of Freefall and Live Through This. “I fell in love with reading when I was four years old and spent my childhood visiting worlds much different than my own. I’m from a small town in Arkansas, and while it was an idyllic place to grow up, it was a very vanilla view of the world. We didn’t have the Internet and we didn’t get cable, so what I learned about this world I learned from books. In college I majored in English and spent my time buried in the classics. As part of my education curriculum, I was required to take a young adult literature class. I was indignant. I did not believe in dumbing down education. I was going to teach the classics and they were going to like it! The first book I was introduced to once I got to class was Harry Potter and the Sorcerer’s Stone. At that time there were only three books in the series, and I was hooked from the first page. I was often late for class because I was sitting in my car, reading. That was when I fell in love with children’s literature. So you can imagine my elation when my husband came home last summer and informed me that we were going to the Wizarding World of Harry Potter. I immediately became a child. I squealed, jumped up and down, and then called my sister to rub it in. I was up before dawn the first day we went to the park. We had early access passes, and I was a bundle of nerves as we rode the boat over. Once we got through the gates, I wanted to run. I would have if my husband hadn’t been with me. He stayed an adult, but I had shed all respectability at the door. I walked as fast as I could and kept telling him to hurry up. I saw Hogwarts in the distance and felt a lump form in my throat. When we rounded the corner and came to the entrance to Hogsmeade, I teared up. Because here was one of my favorite books, my best adventure, come to life. I stood in line with all the other kids to have my picture taken with the conductor. I wasn’t even a little embarrassed. While I was taller than the others in line, and had celebrated more birthdays, I was still a kid, one who had cheered Harry on, worried about him, cried over him. 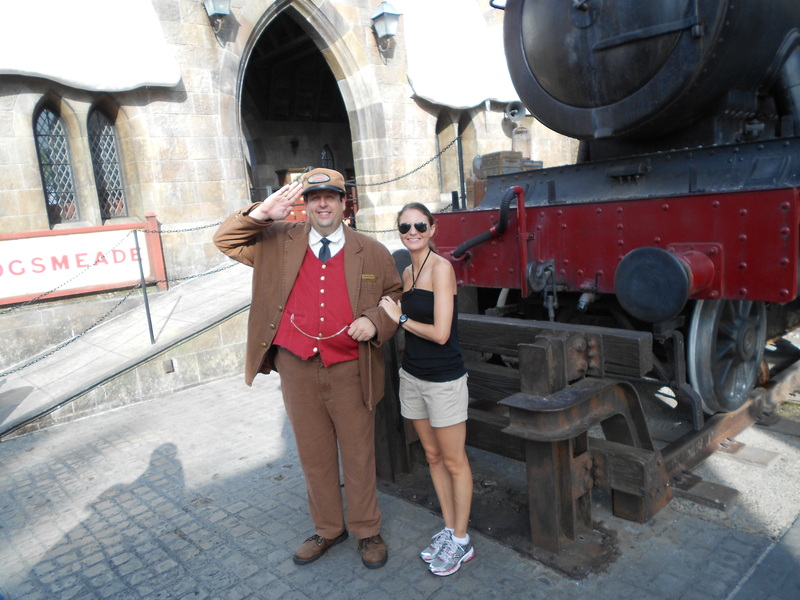 Standing in front of the Hogwarts Express was everything I’d imagined it would be. Reading itself is the Hogwarts Express. We board the train in a familiar place and end up thousands of miles from home. And like Harry, who never wants to leave Hogwarts and return to the normalcy of the Dursley’s, I am loathe to finish a book and find myself back in reality. Sarah Guillory has always loved words and had a passion for literature. When she’s not reading or writing, Sarah runs marathons, which she credits with keeping her at least partially sane. Sarah teaches high school English and lives in Louisiana with her husband and their bloodhound, Gus. 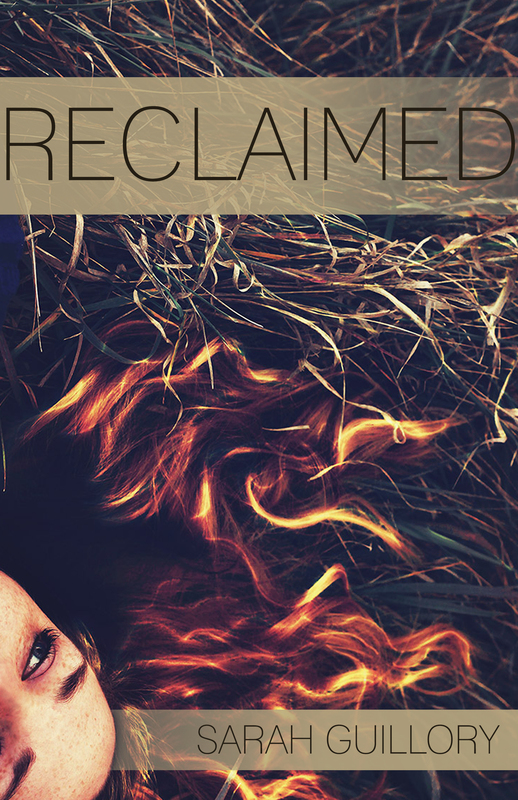 Reclaimed is her debut novel.